Item2013.6.36.1.002.021 - Old building in Vancouver, B.C. Item2013.6.36.1.002.022 - Headquarters of the National Harbours Board in Vancouver, B.C. Item 2013.6.36.1.002.019 - Former Sailor's Home in Vancouver, B.C. 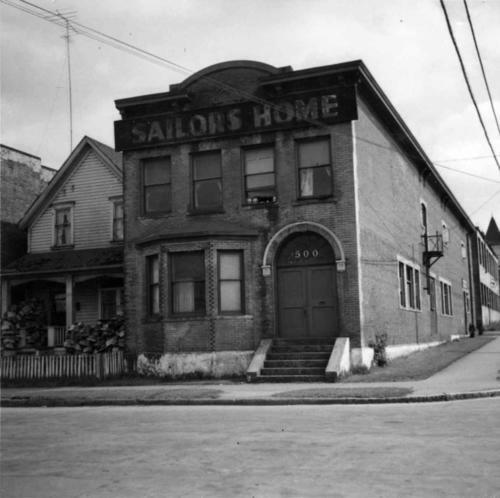 Former Sailor's Home in Vancouver, B.C. Photograph depicts a former Sailor's Home at the southeast corner of the intersection at Alexander St. and Jackson St. in Vancouver, B.C.